We're in half-marathon and marathon season, people. Have you been training for 13.1 miles, or have you decided to go all-out and tackle the full 26.2? 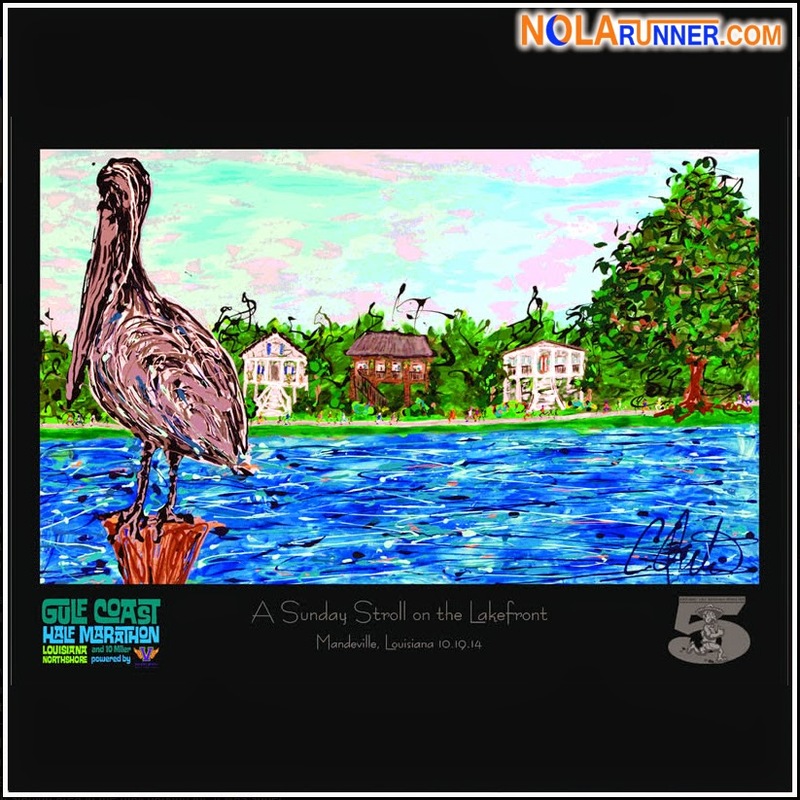 The first local long-distance race of the season is the Gulf Coast Half Marathon series in Mandeville, LA. They are celebrating their 5th anniversary on October 19, 2014, and rewarding participants for the continued success of the event! For the first time, the Gulf Coast Half Marathon will team up with Keeping up with Jones 5K to introduce the Back2Back Challenge. 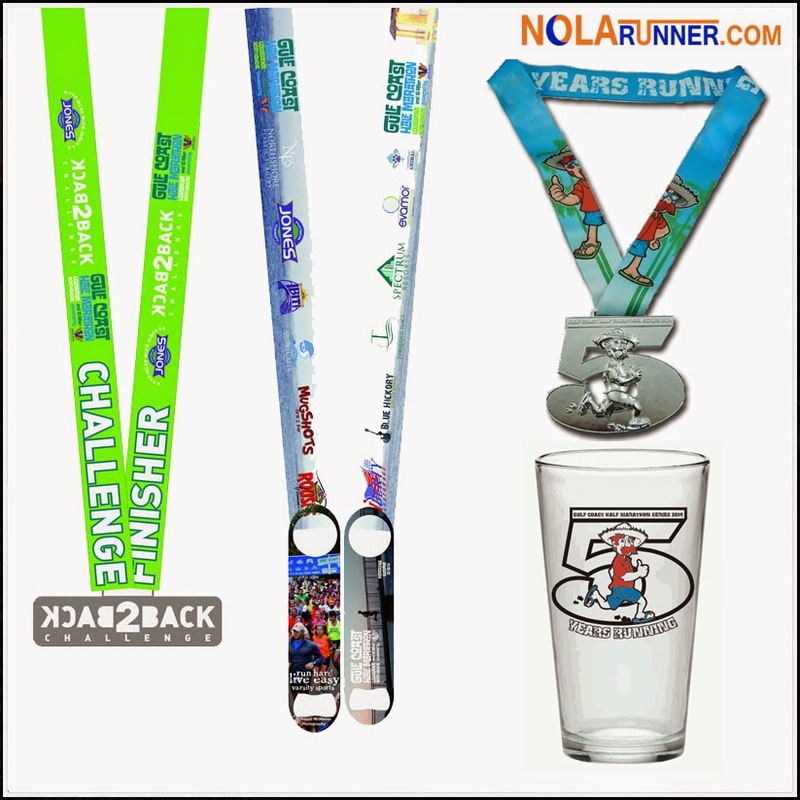 Complete their 5K on Saturday, October 18th and the 10 miler or half on Sunday, October 19th, and earn a special Back2Back Challenge medal. Yesterday, race organizers unveiled what the challenge medal and the half marathon medal will look like. In addition to the two finisher medals mentioned above, it was revealed several months ago on the GCHM Facebook page that participants completing their 5th consecutive Mandeville Half would receive a special medal featuring the event mascot, Joe Relaxo. Also, all finishers in this year's race will receive a commemorative pint glass with a matching logo. All of the medals and pint glass can be seen in this exclusive photo. Finally, to celebrate the 5th Anniversary of the series, race organizers have commissioned a work by talented northshore artist, Camille Quintana. The commemorative print seen above will be awarded to overall and age group winners, as well as be available for purchase at the expo on Friday, Saturday, and after the race on Sunday. Remember that 10 miler participants also qualify for awards, so step up your game if you are angling to win one. 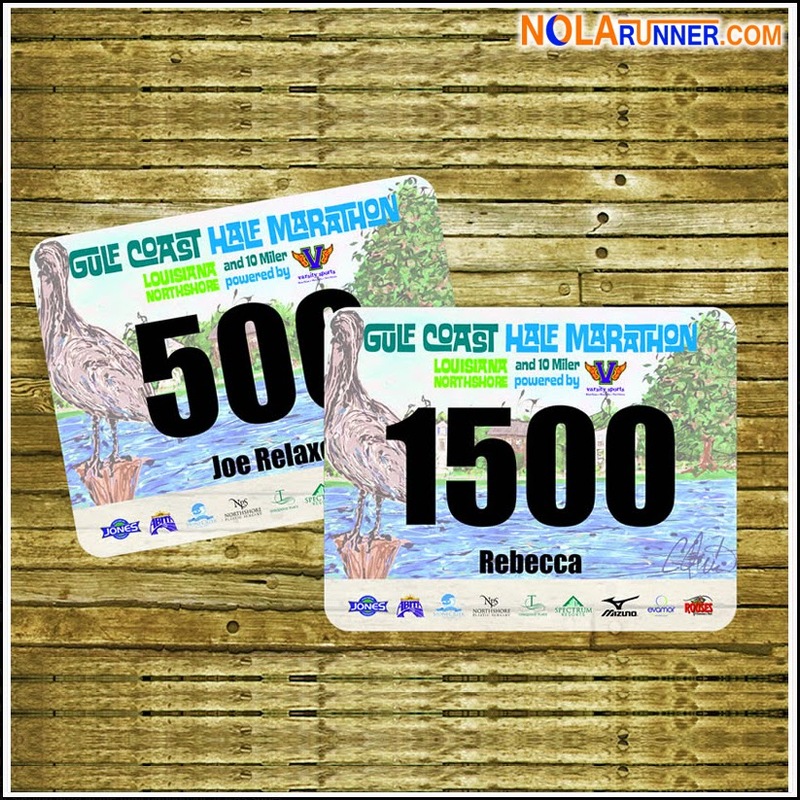 The custom design is the background on your race number seen here. Smile pretty throughout the race, as photography on the scenic course will be provided free to participants thanks to Northshore Plastic Surgery! Read about that HERE. It's not too late to register to be a part of the Keeping up with the Jones 5K, Gulf Coast Half Marathon and 10 Milers. Click the links below for this year's registration information. Through Oct. 12th, use the code NOLArunner to get $20 off your online registration.